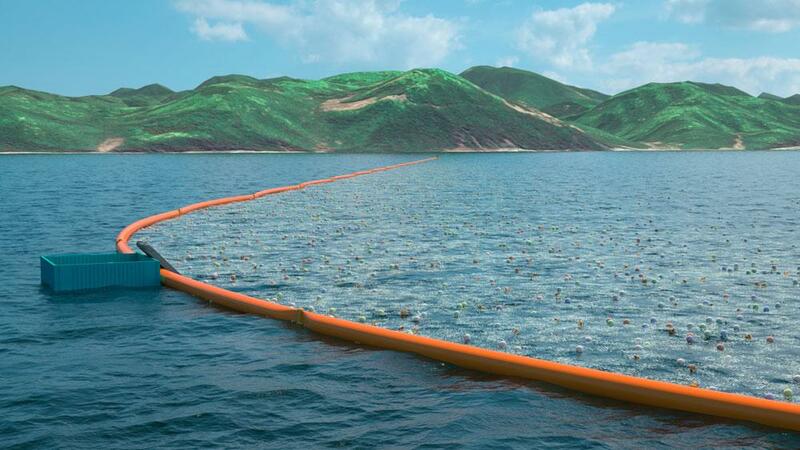 Eighteen year old Boyan Slat came up with a plan to clean pollution in the ocean using passive flotation devices and the ocean’s own current. A feasibility study in 2014 showed that his proposal is possible and the project is currently undergoing active testing. 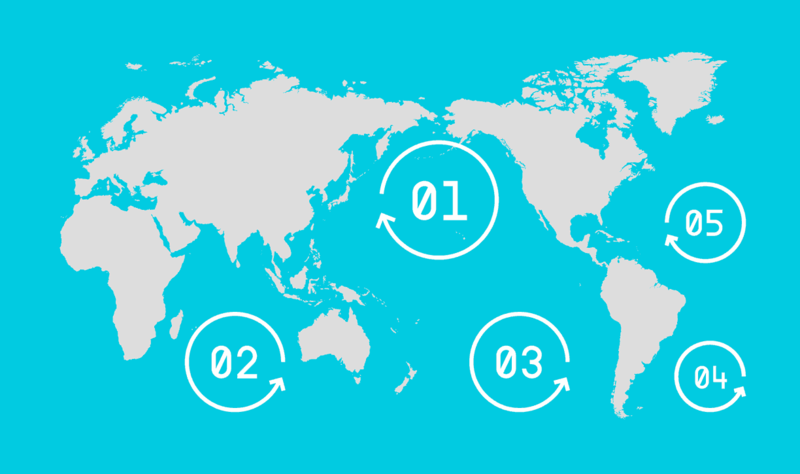 There are five huge areas of swirling plastic throughout the Earth’s oceans, known as gyres. Majority of the plastic that ends up in the oceans is carried by the ocean currents into these massive garbage areas. It’s been found that there is six times more plastic than zooplankton on average in gyres, poisoning marine life and ending up in the food supply of the planet. Toxic chemicals like PCBs and DDTs are absorbed by the plastic and can cause diseases like cancer, malformation and impaired reproductive ability. The design uses currents to pull the sea life under the floatation devices, while the lighter-than-water plastics float into the barriers. What’s estimated to take humanity 70,000 years to clean with boats and nets can be now cleaned, instead, in decades. 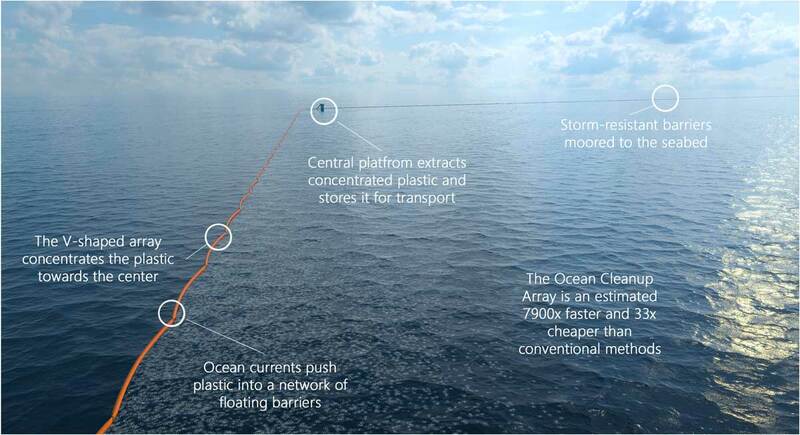 To learn more about the project please visit The Ocean Cleanup, and consider supporting it by volunteering and donating.